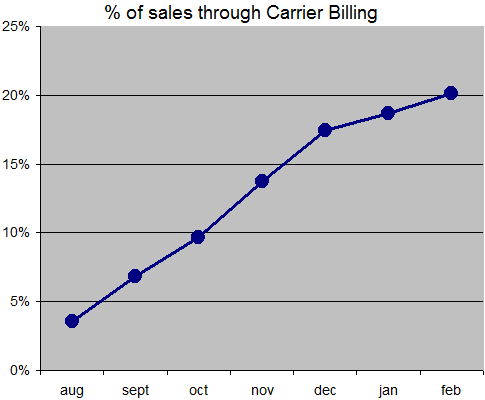 Since last looked at the usage of carrier billing has continued to rise in the first two months of 2011. Carrier billing now is responsible for 20.1% of all sales on BlackBerry AppWorld. The use of in-application payments will most likely continue to rise as it is being offered on more carriers. These carriers see their users twice as likely to upgrade to paid versions of applications as they otherwise would be.